In 2017 XTERRA will unify the scoring structure for the America, Pan America, European, and Asia-Pacific Tours. The new deal is simple. Amateur and professional athletes can compete in as many events as they want and at the end of the season the athlete with the most points in each division, in each tour, wins. Honolulu, HI – In 2017, XTERRA will unify the scoring structure for the America, Pan America, European, and Asia-Pacific Tours. The new deal is simple. Amateur and professional athletes can compete in as many events as they want and at the end of the season the athlete with the most points in each division, in each tour, wins. The unification efforts will make it easy for athletes and administrators to follow Tour points and will create great excitement as the title chases heat-up. Also, new in 2017, at the end of the season every amateur tour champion will earn a qualifying spot into XTERRA Worlds. In addition to the qualifying spots awarded to Tour Champions, there are 38 races in 34 countries offering up Maui spots to the fastest age groupers in each division at each race. TEAM Unlimited LLC, founded in 1988, is the Hawaii-based television, events, and marketing company that brought off-road triathlon and trail running to the world under the brand name XTERRA. From a one-off race held on the most remote island chain in the world XTERRA evolved into an endurance sports lifestyle with worldwide appeal. 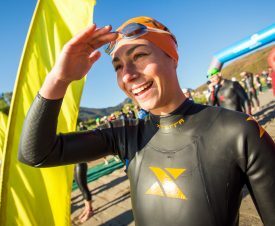 Over the past 20 years XTERRA transcended its status as ‘just a race’ to become a bona-fide way of life for thousands of intrepid athletes as well as an emerging brand in the outdoor industry. In 2016 XTERRA hosted more than 200 off-road triathlons and trail running events in 30+ countries worldwide and produced 10 adventure television shows for international distribution. Learn more at xterraplanet.com and xterracontent.com.